It has been 15 days since we migrated from PLDT DSL to Home Fibr. I know it is still too early for a review but I just want to share my first impression and experience so far with our new plan. 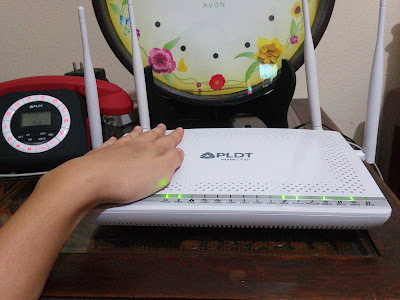 As you may have read in my past post, we were able to migrate to PLDT Home Fibr even though they keep telling us that it is not yet available in our area. *Thanks to their technician that endorsed our account for migration! Since I earn my living with the internet, this is crucial for my work and I need it to be reliable and stable. 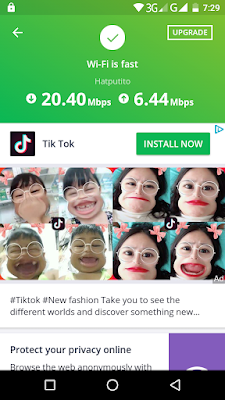 I did not feel any difference when it was first activated. But when I had a video call with my client thru zoom, heck our talk lasted for more than an hour without being interrupted! So far from our DSL plan who can't even hold it for 5 minutes. And got no problem watching online videos as well. When you look at the bottom of the modem, you could see two (2) WLAN SSID Names. One for 2.4 GHz and the other one for 5 GHz. I was told by the installer to connect only to the 2.4 GHz one because he said there is no internet for the 5 GHz if I connect my devices there. But as curious as I could be, I searched through the internet what those two (2) mean. Simply put, the primary differences between the two frequencies are the range (coverage) and bandwidth (speed) that the bands provide. The 2.4 GHz band provides coverage at a longer range but transmits data at slower speeds. The 5 GHz band provides less coverage but transmits data at faster speeds. And because I'm pasaway, I tried to connect with the 5 GHz band after modifying the account password, SSID names and authentication passwords. And I was able to do so! But hey, 2.4 GHz is not that bad either. Gotta see how this new plan will go in the future. Will they be able to maintain this kind of speed and stability? Oh, plus, it is this big.